Felt very happy to be able to light the Lamp of Gratitude on the auspicious day of Kartheeka pournami. Winter season has just begun. 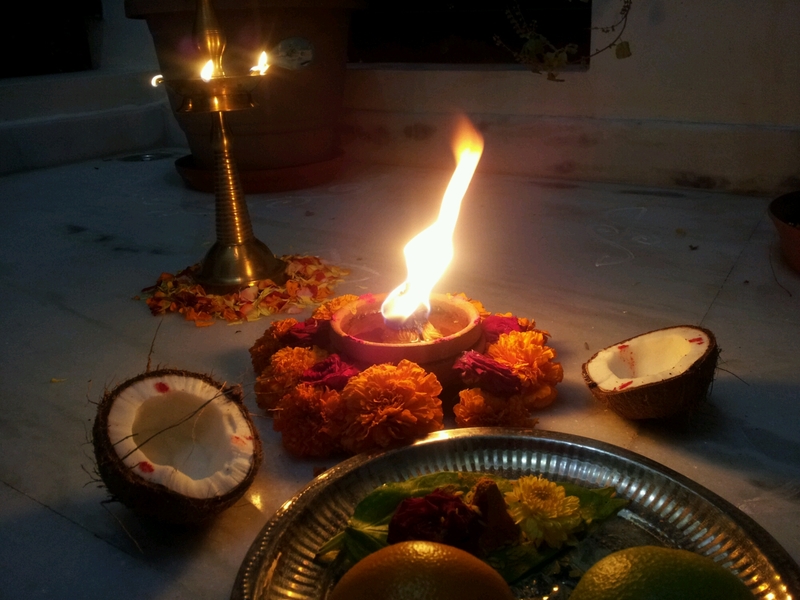 The cool breeze, bright glow and warmth from the deepam , floating diyas, holy tulsi plant and the moon watching over , all together created an ethereal ambience. A twig from an Amla tree was also placed in the pot and worshipped. While the religious significance of this day is about the triumph of good over evil , Lord Shiva killing the three demons, it is also about recognising and worshipping Tulsi and Amla tree. Worshipping the plants for their medicinal properties. Incorporating the leaves of Tulsi (boosts immunity) and the fruits of Amla tree (richest source of Vit C ) into our diet is highly recommended and this ritual reminds us of their importance once again. The deepam has 365 wicks , one for each day in the year. When I was younger , mom, my sister and I would prepare all the 365 wicks using cotton. 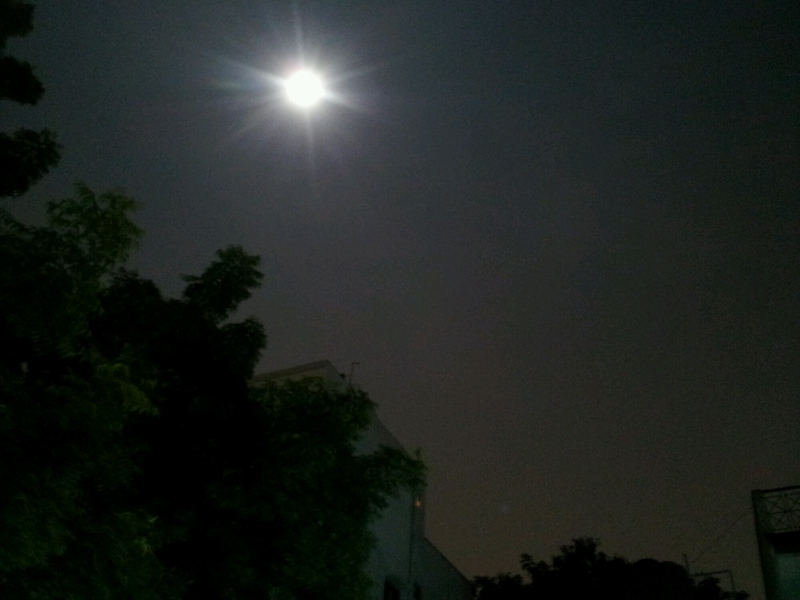 The full moon was covered by a veil. 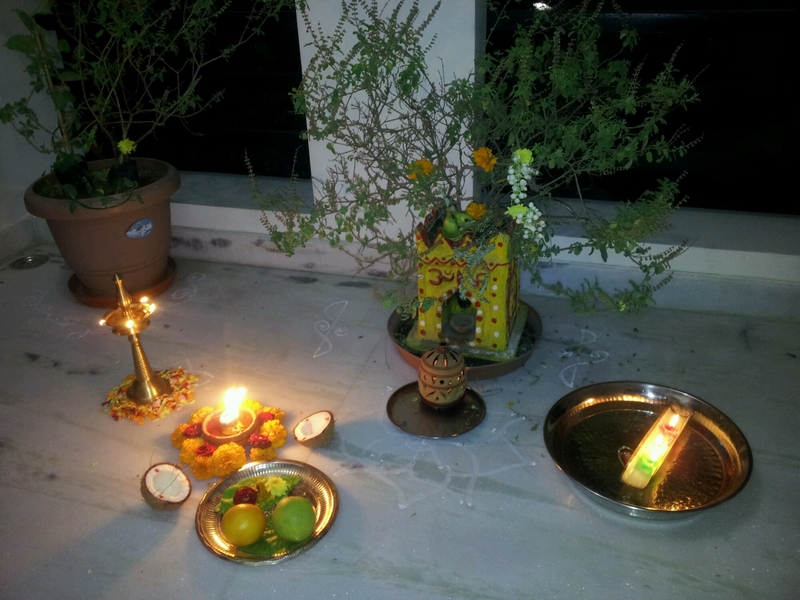 Categories: Uncategorized | Tags: Festivals, Karthika Pournami | Permalink.